A new driver update from Nvidia will take advantage of Microsoft's low-level API. 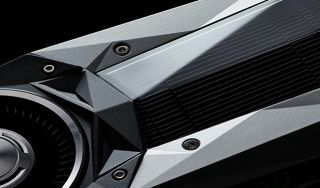 Hot on the heels of Nvidia finally lifting the curtain to reveal its GeForce GTX 1080 Ti graphics card, the GPU maker is said to be working on a rather major driver update that is focused on DirectX 12. The driver update will purportedly offer up to a 16 percent bump in performance in a variety of DX12 games. Apparently Nvidia has been collaborating with many different game developers on the new driver update, including those involved with Ashes of the Singularity, Gears of War 4, Rise of the Tomb Raider, and Tom Clancy's The Division, according to Overclock3D. The changes Nvidia makes to the underlying code for its drivers should affect all DX12 games. DX12 is a low-level API that allows developers to work more closely with hardware on a granular level. Around this time a year ago we posted an in-depth primer on what DX12 means for gamers and developers, and it's still a good read today. If you want to skip the technical details, the end result is faster performance in games. With new graphics cards and a focus on low level APIs taking shape, it's going to be an interesting year in gaming. We reported earlier this week that AMD and Bethesda have partnered to optimize games for Ryzen (CPU) and Vega (GPU). One of the main goals of that partnership is to "accelerate the implementation" of Vulkan, a low-level API developed from AMD's Mantle. As for Nvidia, it is not known when it plans on releasing the new DX12-focused driver package, though it probably won't be a long wait. We imagine Nvidia is eager to showcase its GeForce GTX 1080 Ti in full force, along the rest of its Pascal lineup.